As the generations move further away from the Holocaust, the need to preserve the individual stories of survivors becomes increasingly important. 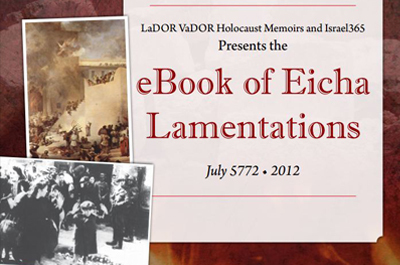 LaDOR VaDOR Holocaust Memoirs will provide your family with a cherished heirloom that tells the story of a lifetime. Please Contact me about Holocaust Memoirs? Each Holocaust survivor has a heroic story to tell, yet even their closest family members only know bits and pieces of their saga. LaDOR VaDOR Holocaust Memoirs takes your family stories from video recordings and interviews and fills in vital research to create a precious legacy for future generations. By including photographs and family trees, documents and maps, in a beautiful hard cover and full color book for each member of your family, your children and grandchildren will have an accessible chronicle to better appreciate where they come from. This precious heirloom is, literally, the story of a lifetime.